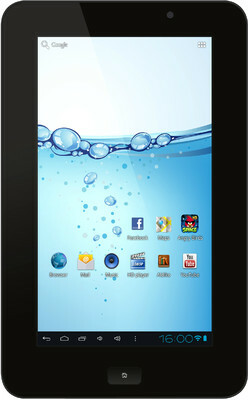 SPCtelecom Neo 4 Tablet PC, another tablet in the Tablet PC budget market tussle. It is clear in India, the price tag is the key. The lower budget tablet pc is building a mushrooming market like never before and is only expected to go better in the near future. So, let’s have a look at the specifications of this SPCtelecom Tab. The tab runs on the smart Android OS which is the version 4.0 (ICS) in this device. The processor and the RAM placed within is a nimble 1.2 GHz and 512MB respectively. At this price the makers managed to feature A-GPS in this Tab, is really a commendable move. Various other luring features which come with such an affordable Tab are clubbed together for you, in a tabular form. The tablet is expected to pick up the market very fast, given its price and features on board. Best buy if from Flipkart.